Salzburg is known as the birthplace of Wolfgang Amadeus Mozart, as well as the setting and primary filming location for The Sound of Music. 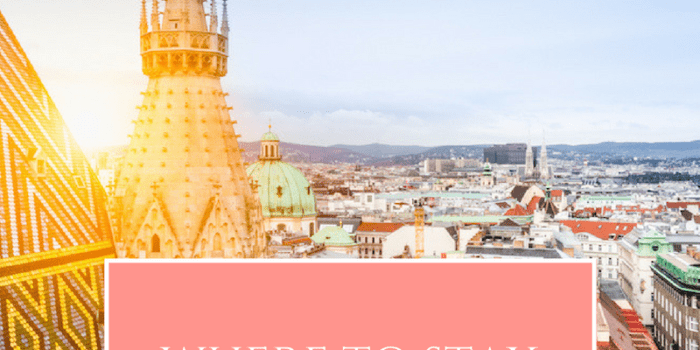 Yet, this only scratches the surface of what the enchanting Austrian city is really about. Salzburg has scenic views of the Central Eastern Alps and shares a border with the German province of Bavaria. Its well-preserved Old Town is full of incredible Baroque architecture, and its enormous, medieval fortress provides historical insights into the area. Although you may think of Salzburg as a large and busy city, it has a population of only 150,000 people. Since it’s a smaller city, it’s easily walkable and perfect for budget travellers looking to have a local experience. Salzburg may be a Central European city, but a trip there doesn’t have to be expensive. 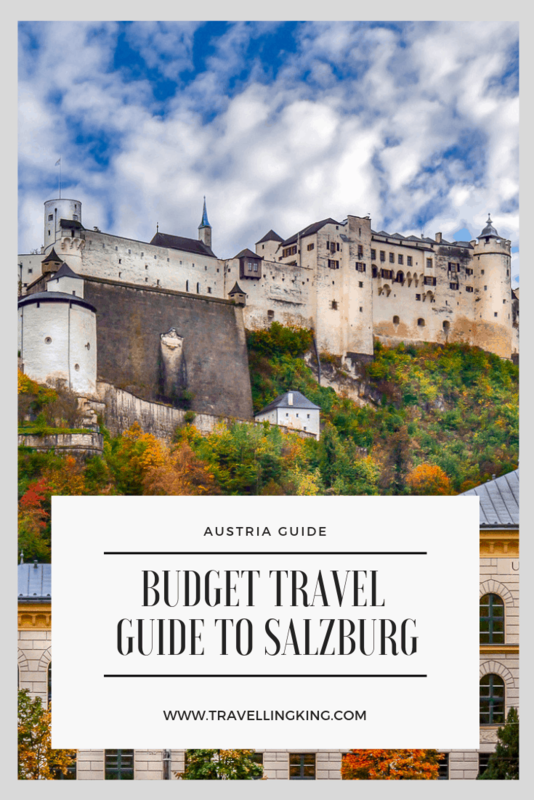 This budget travel guide to Salzburg, Austria will share with you some travel tips and tricks to ensure your trip is a fun and affordable one. 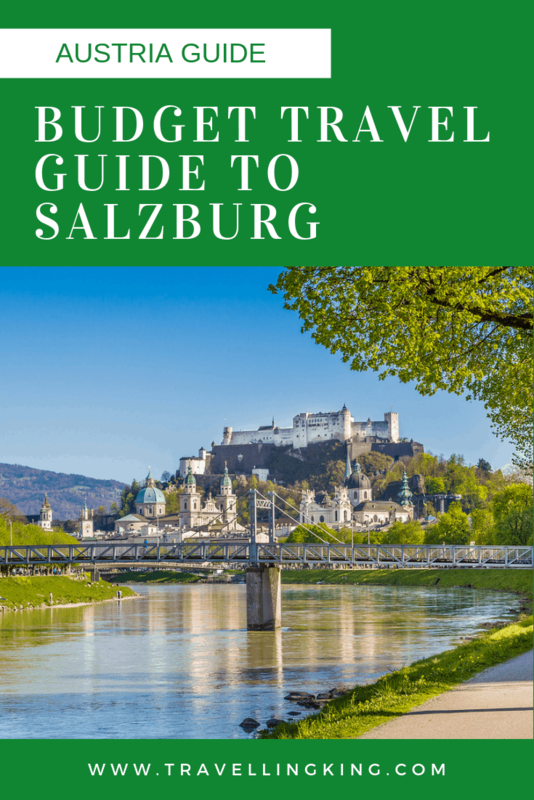 This guide is perfect for those who are travelling to Salzburg on a budget. 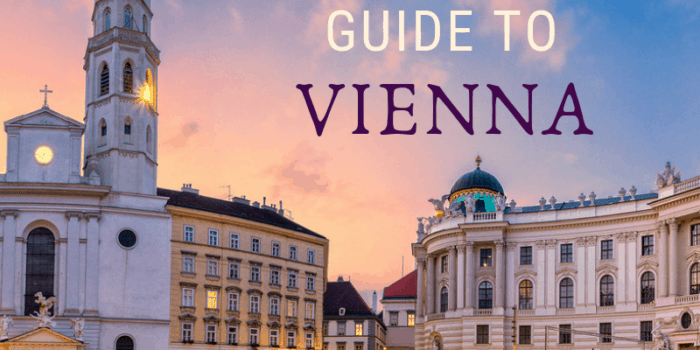 We will show you what to do in Salzburg, where to stay, what to eat and how to get around, whether it’s a weekend in Salzburg or a long term stay. There’s never a bad time to visit Salzburg, though certain months are more suitable for budget travel. Late winter is peak season due to the Christmas and New Year period, as well as the Hahnenkamm festival in mid-January. To experience the festive atmosphere without the crowds and inflated prices, visit Salzburg during late November and early December. Summer is also a popular time to visit, making flights and accommodation rates soar during June, July and August. May and September are affordable months if you want to visit Salzburg while the weather is warm. There are two main buses between Salzburg Airport and the city’s main station. Bus 2 runs daily with departures every 10 to 20 minutes, and the journey is 20 to 25 minutes long. Bus 10 departs every 10 minutes (except on Sundays) and takes only 15 minutes to reach the city. Single tickets from the airport terminal or bus stop machines cost €2.50. There’s another option than purchasing individual tickets, however. The Salzburg Card, which you’ll learn more about later, includes free rides on all modes of public transport for up to three days. The trolley bus (Obus) system in Salzburg can take you to every corner of the city. Before you leave, download the free English-language app, qando Salzburg, for real-time schedule information. The Festungsbahn is another mode of transport you’ll likely use in Salzburg. 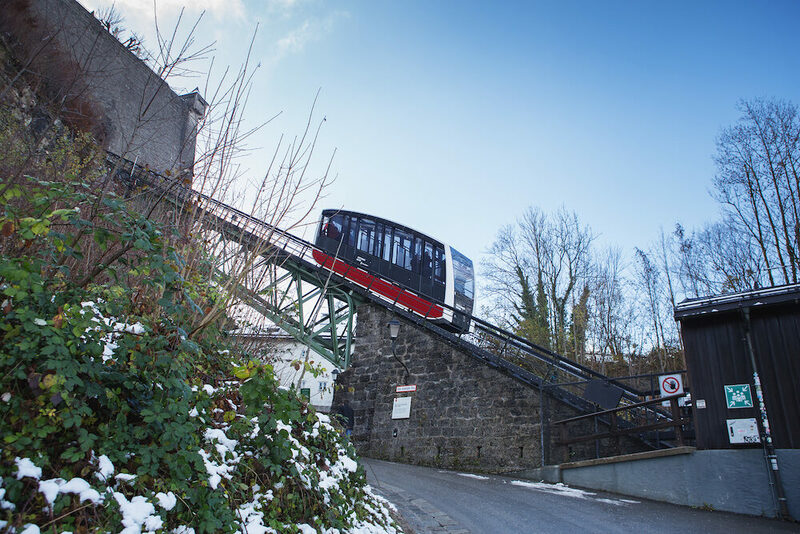 This mountain cable car provides access to Hohensalzburg Fortress atop the Festungsberg mountain. The trip takes less than a minute and is covered by the Salzburg Card. While the Austro-Bavarian dialect of German is spoken in Salzburg, the majority of the younger generation can speak English well. Like the rest of Austria, Salzburg uses the euro. Service charges are typically added to the bill at restaurants, so check before you leave a tip. If not, five per cent is fine to tip for good service. A 10% tip is expected any time you catch a taxi, but since you’ll likely be using public transport, this isn’t something you’ll have to worry about. 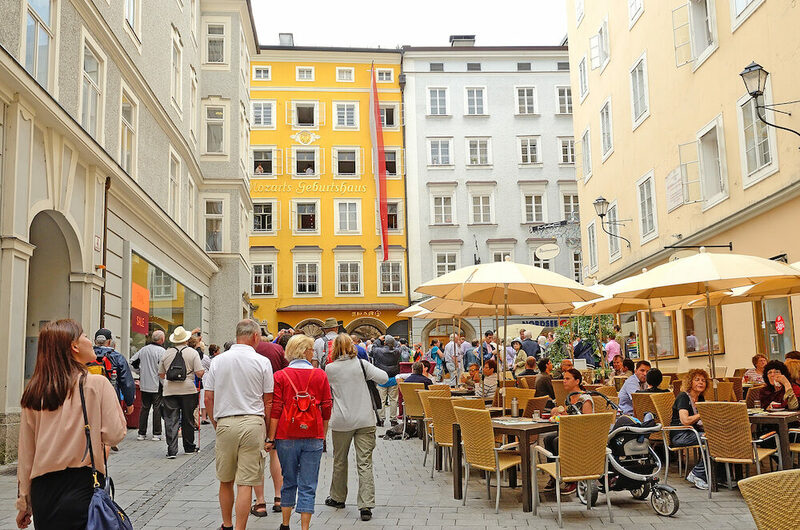 To get your money’s worth in Salzburg, you’ll need to prepare for a few jam-packed days. 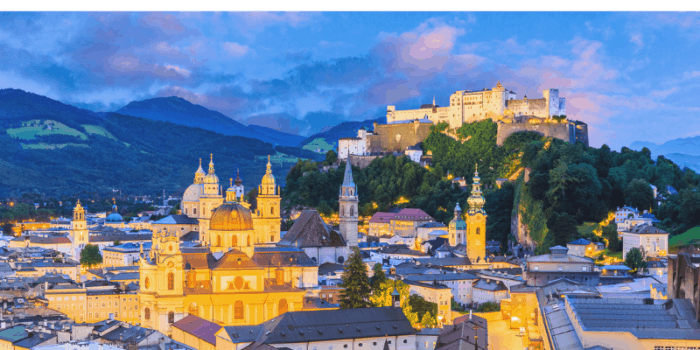 By purchasing a Salzburg Card, you’ll have an all-inclusive pass to all of the city’s tourist attractions and museums, as well as discounts on any events and concerts. The 24-hour card for adults costs €26, or €34 for 48 hours card and €39 for 72 hours. Remember, this price also includes unlimited public transport! You can book a card online and pick one up at the airport, tourist information centres, and the main train station. Any paid attractions mentioned below are included in the Salzburg Card, so you won’t have to worry about paying anything else. Salzburg’s 17th-century Baroque cathedral is one of the city’s top sights. The grandiose, Roman Catholic Salzburg Cathedral stands 81 metres tall in the Old Town. The impressive facade features two towers and a curved gable in between, with statues of four evangelists. At the front sits a marble and cast iron column known as Immaculate Mary. The gates to enter the cathedral depict three virtues: faith, love and hope. The interiors are even more incredible, with a 70-metre high dome displaying 16 elaborate frescos. The cathedral is also known for its seven bells, which are considered some of the most beautiful in the country. Two of the bells date back to 1628, while the remaining five were added in 1961. The Benedictine monastery Stift Nonnberg is a UNESCO World Heritage Site and the oldest German-speaking nunnery. The complex was founded in the early 700s by Saint Rupert of Salzburg beneath the Festungsberg hill. The abbey church was refurbished in the 1880s to create its current Baroque style, and its dark red, 12th-century Romanesque tower is seen throughout Salzburg. Budget travel may not allow for any shopping sprees, but who says you can’t experience the atmosphere? 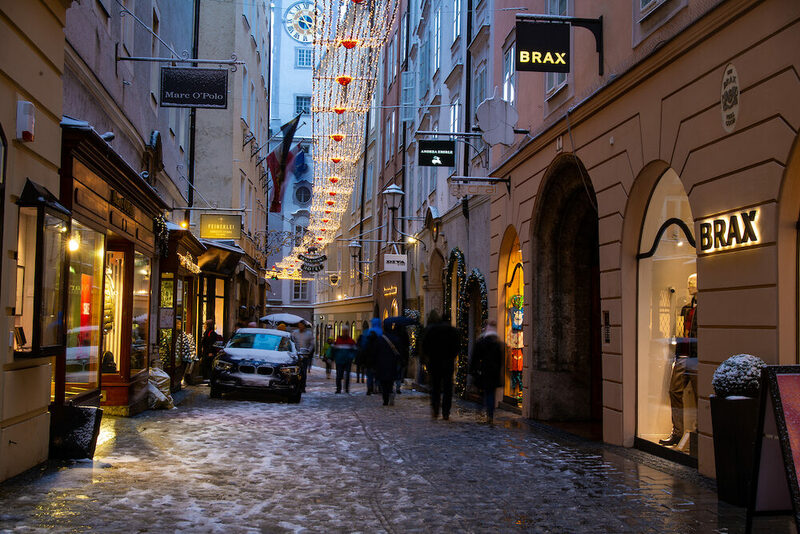 Getreidegasse is the main shopping street in Salzburg, and many stores here are on the pricier-side, so don’t be tempted! The charming architecture and ornate shop signs along this narrow street are enough to occupy your attention. While on Getreidegasse, stop by the house Mozart grew up in. The exterior of Hagenauer Haus at No. 9 is vibrant yellow, so you can’t miss it. The museum inside transports you back in time to the 18th-century with its authentic furniture, original portraits and memorabilia. For serious music fans, Mozart’s violin and clavichord are also on display. The beautiful Mirabell Gardens in the grounds of Mirabell Palace are a must-visit. The geometrically-arranged gardens feature mythology-themed statues by sculptor Ottavio Mosto. Stop by the Grand Fountain to see Mosto’s figures representing the four elements (fire, air, earth and water), as well as the Pegasus Fountain by Kaspar Gras. This is the location where the Trapp family famously sang Do Re Mi in The Sound of Music. 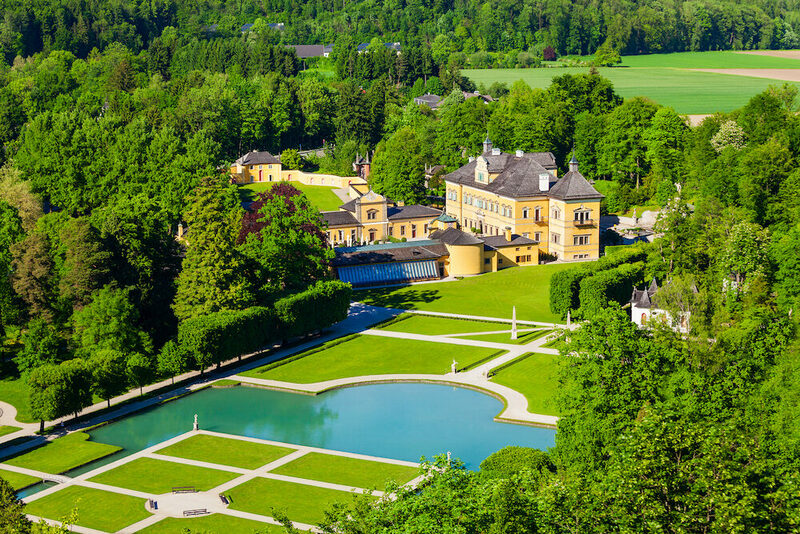 Another place to check out in Salzburg is Hellbrunn Palace. To get to this 17th-century Baroque villa in Morzg, catch Bus 25 from the Old Town to the Salzburg Schloss Hellbrunn stop. Once you reach the grounds, you’ll be amazed at the immensity and character. 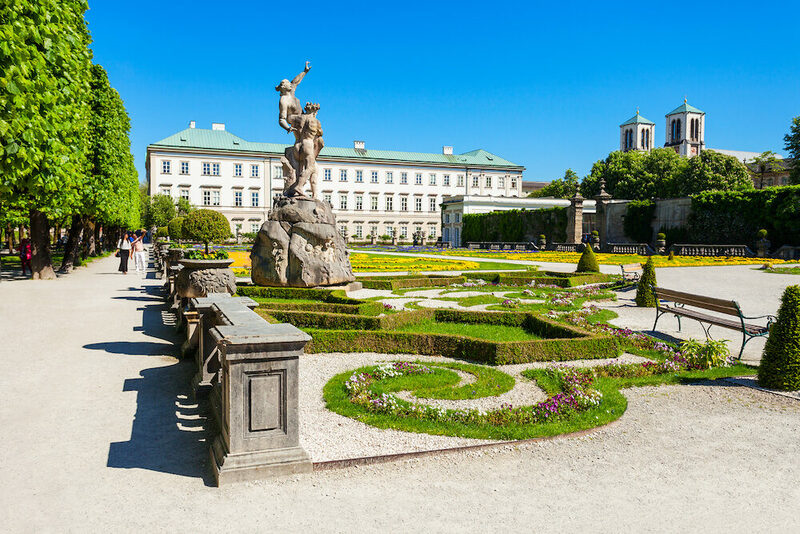 Although the palace itself is stunning, Hellbrunn is most popular for its picturesque park with a unique twist. Architect Markus Sittikus, known to have a sense of humour, designed the outdoor area to perform pranks on guests and visitors. One feature includes water fountains hidden inside stone seats that spray when activated. If you don’t mind getting wet, it’s a fun and memorable experience for all ages. 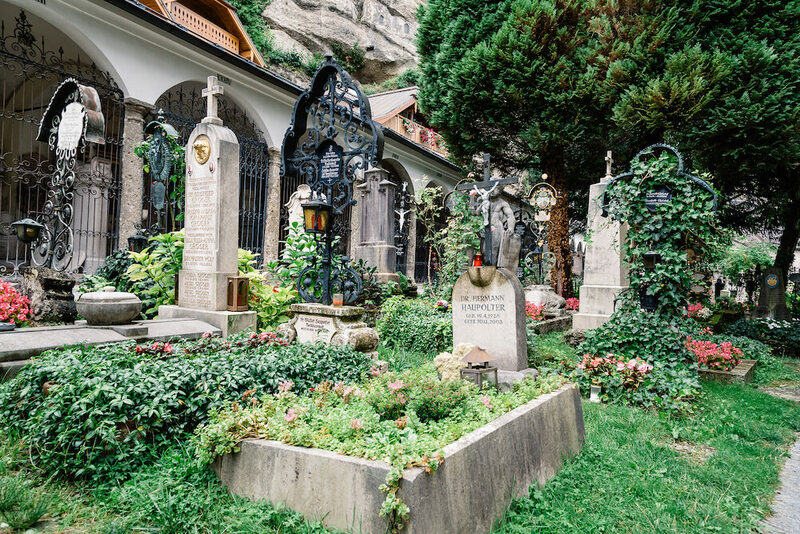 A different outdoor spot to visit is Petersfriedhof, or Saint Peter’s Cemetery. While it may seem a little eerie to visit a cemetery as a tourist, it’s a beautiful and beloved attraction. Notable architects, painters, musicians and composers rest here, including Maria Anna Mozart. If you’re willing, you can even explore the catacombs carved into the rock of the Festungsberg mountain. 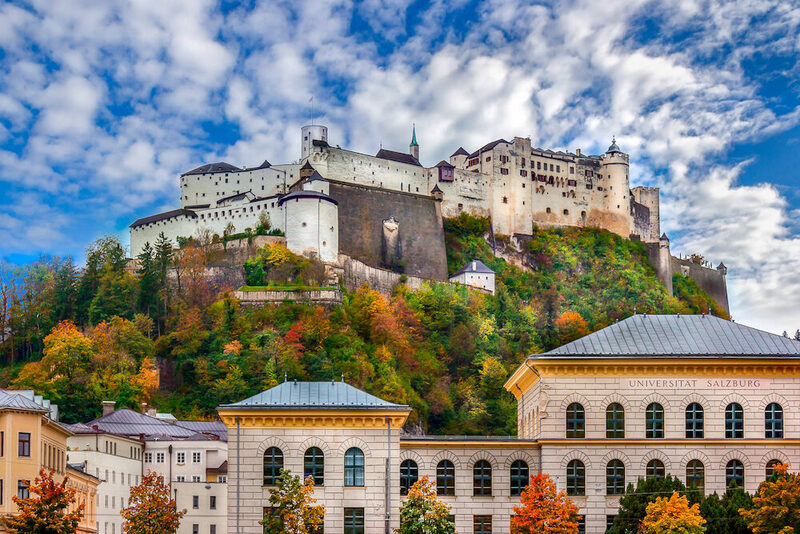 The Hohensalzburg Fortress is one of the largest medieval castles in Europe, and an attraction you simply can’t miss seeing. Built atop the Festungsberg hill, it has a total height of 506 metres. At 250 metres long and 150 metres wide, you can imagine how integral this fortress is to Salzburg’s skyline and identity. Inside the fortress are various courtyards and wings, including the Golden Hall, the Golden Chamber, the bedchamber, and the Chapel of Archbishop Leonhard von Keutschach. The best museum to learn about the history of the city is the Salzburg Museum in the Neue Residenz. Permanent exhibitions showcase artefacts, historical artwork and detailed presentations on all subjects, from science to literature. The museum even won the European Museum of the Year Award in 2009. Next, take the Panorama Passage, an underground walkway that connects the Salzburg Museum to the Panorama Museum. Its unique main attraction is an all-encompassing painting of Salzburg, measuring a tremendous 26 metres wide and five metres high. Painted by Johann Michael Sattler in 1829, you can inspect the ways the city has progressed and admire the incredible detail. Salzburg’s Folklore Museum offers an interesting insight into the city’s folk culture. It’s a small, quaint exhibition that keeps the spirit and local customs alive with displays of traditional clothing, furniture, paintings and more. 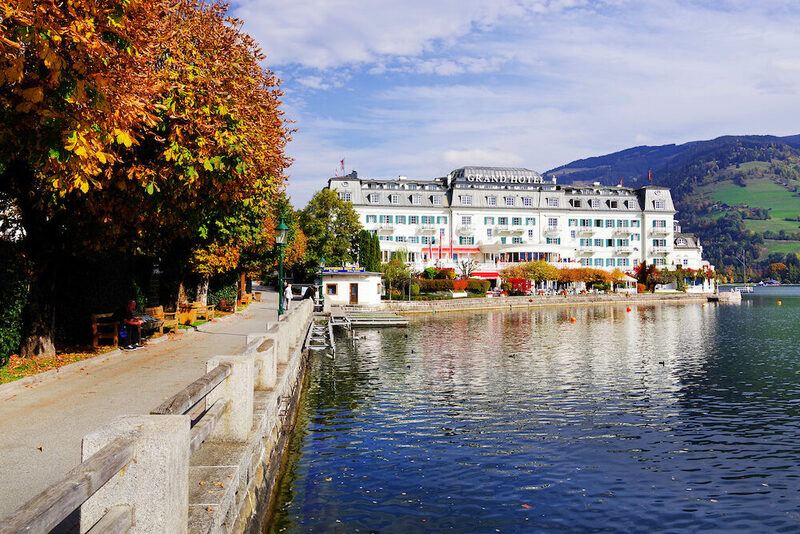 It’s a real hidden gem, and in an idyllic location overlooking Hellbrunn Park. 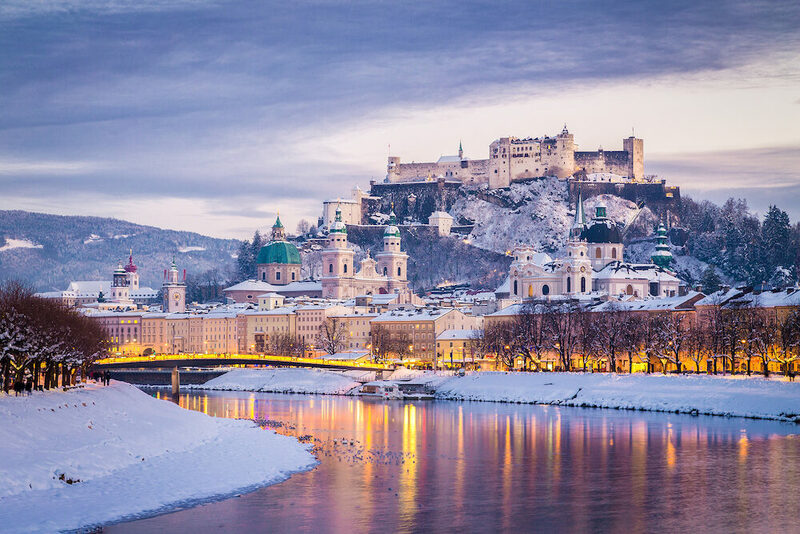 Salzburg is well known for its magical, romantic and historic Christmas markets. Most of them start popping up by late November, so you can experience the festive season before the actual Christmas rush. Remember, you don’t need to spend all your money on souvenirs or gifts to have a fantastic time! The markets here are wonderful places to soak up the good cheer and meet some new people. The Weihnachtsmarkt in front of Mirabell Palace is a small market that’s perfect for tasting the infamous gluhwein (mulled wine). 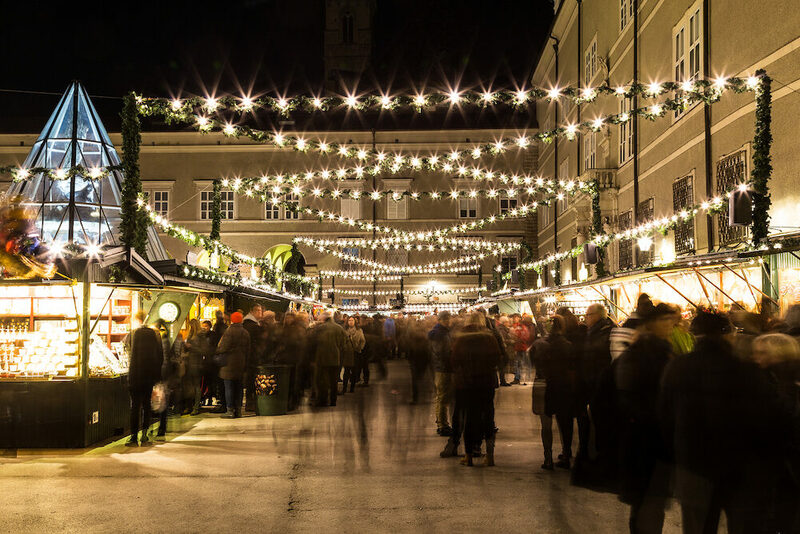 On Sundays, listen to the Christmas carols at the Christkindlmarkt in Residenzplatz. There’s also the Advent Market in the courtyard at Hohensalzburg Fortress, featuring an ensemble of wind musicians and local arts and crafts. Staying at a hostel is one of the smartest ways to save money while travelling. 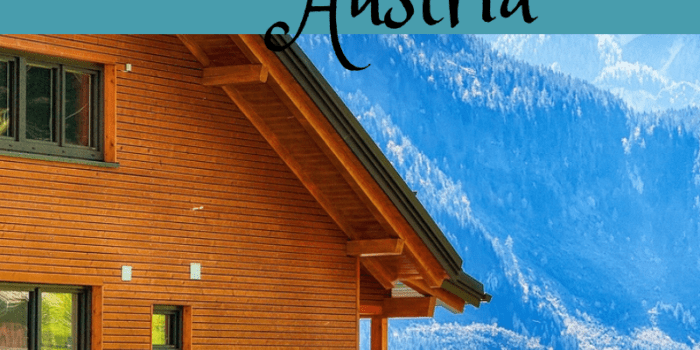 Here are three of the best hostels to consider making your base while in Salzburg. 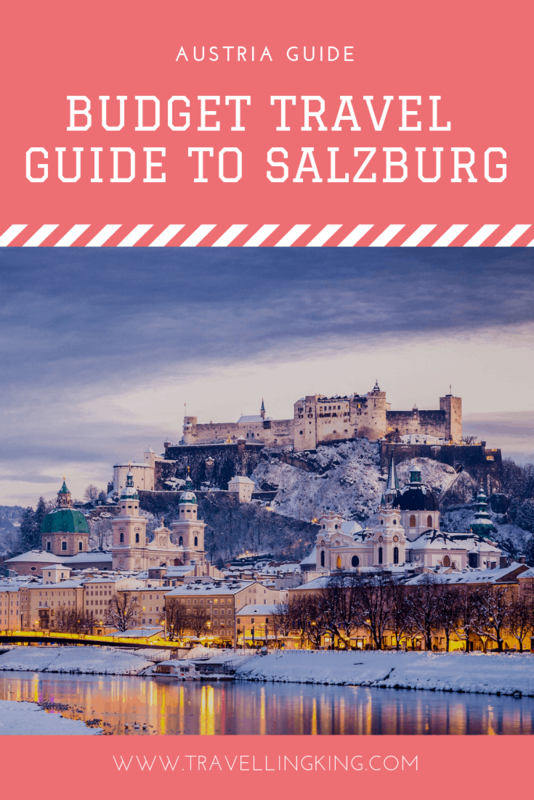 We have also written a more comprehensive guide on Where to stay in Salzburg. Yoho International Youth Hostel: Yoho is one of the top-rated and most centrally located hostels in all of Salzburg. To get you into the party mood, Yoho offers a free welcome shot and two daily happy hours at the hostel bar. If you’re not a drinker, there’s a free book exchange and board game area. The Sound of Music also screens daily in the lounge. Dorms cost between €24 and €34, or you can share a private room with a double bed for around €80. MEININGER Salzburg City Centre: MEININGER is a fun, social, and chilled out place to stay near Salzburg Gnigl station. The hostel keeps its commitment to budget travel by offering an all-you-can-eat breakfast buffet and free activities in the games room. Book a dorm bed for the bargain price of about €20 per night. a&o Hostel Salzburg Hauptbahnhof: a&o is only a five-minute walk to the main railway station in Salzburg, making it an ideal location for exploring the Old Town. There are shared kitchen facilities if you want to save your money further by preparing your own meals. Dorms usually cost between €24 and €30 per night, and private twin rooms are around €80. Stop by Balkan Grill on Getreidegasse to try a fast food dish from Salzburg known as bosna. Similar to a hot dog, a white bread roll is filled with a Bratwurst sausage, onions, and a blend of curry powder and mustard. For only €3.70 per bosna, Balkan Grill is one of the best cheap places to eat in Salzburg. A long queue leading up to the counter is common, but the line moves fast. Salzburger Grill Imbiss along Wiener-Philharmoniker-Gasse also has a ton of other fast food options with a German twist. Prices are incredibly budget-friendly, between €2.70 and €3.70. If you’re vegetarian or vegan, you don’t have to miss out! Try a meat-free alternative to bosna at Hans W on Gstaettengasse for €5.70. Local burger chain Pommes Boutique also has three locations around Salzburg offering a fresh veggie burger option for only €4.00. Another local speciality is Salzburger Nockerl, which is generally large enough share between two people. 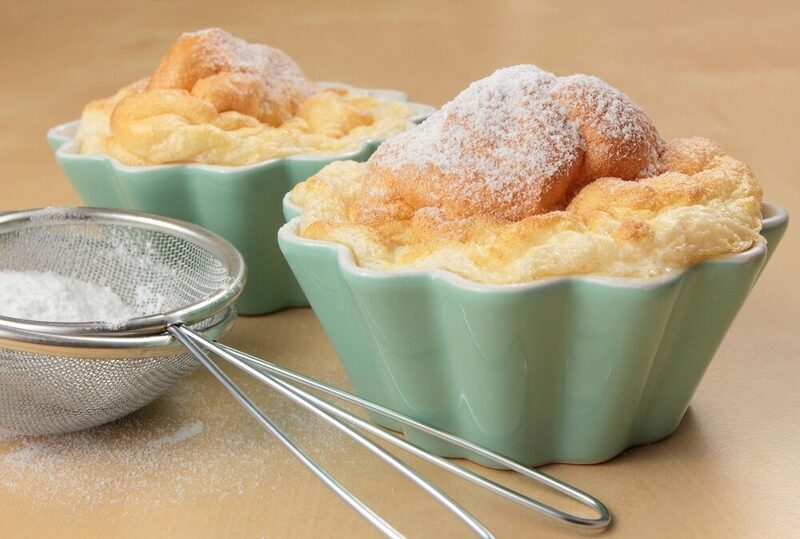 This sweet soufflé is made in the shape of three peaks to represent the nearby Central Eastern Alps. Order the dessert at Café Mozart or Café Glockenspiel. 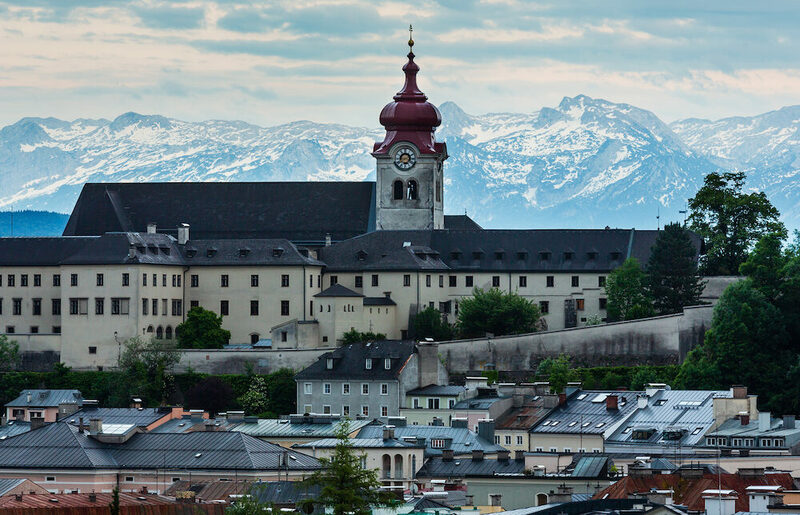 The Sound of Music sightseeing tours run the gamut of €45, all the way up to €380! With a little research and planning, however, you can see the same sights for free. Some filming locations you may have already stopped at, like Mirabell Gardens. Others, like Nonnberg Nunnery, Leopoldskron Castle and Residenzplatz Square, can be easily visited using public transport. For €15.00, you can go on the Salzburg Sightseeing City Cruise along Salzach River. On this affordable 40-minute tour you’ll enjoy panoramic views of the city’s natural landscape, including the southern ridge of the Alps. Depart from Marktsteg at a time of your choosing and take in the scenery from both sides of the river. Another tour that’s worth paying a little for is a four-hour trip to the Bavarian Mountains. Cross the border into Germany, wander around the emerald green Königssee Lake, and see the extravagant Castle Hellbrunn. 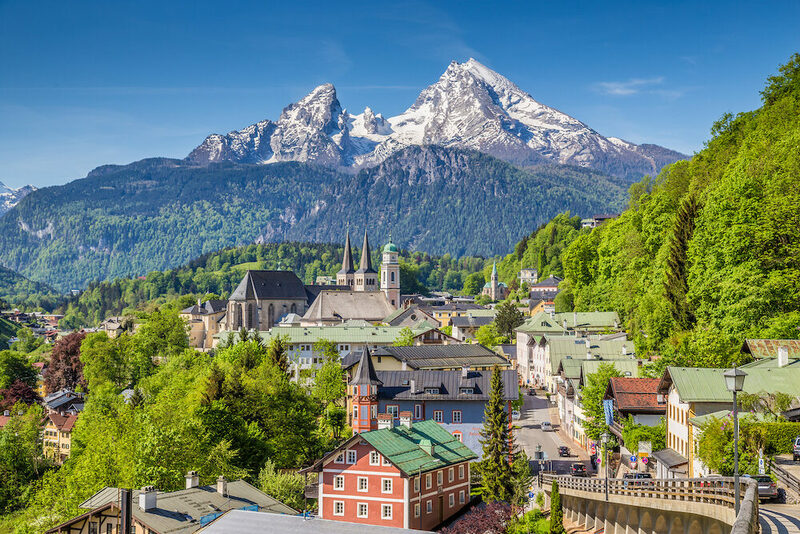 On the way back to Salzburg, you’ll stop to explore the charming village of Berchtesgaden. 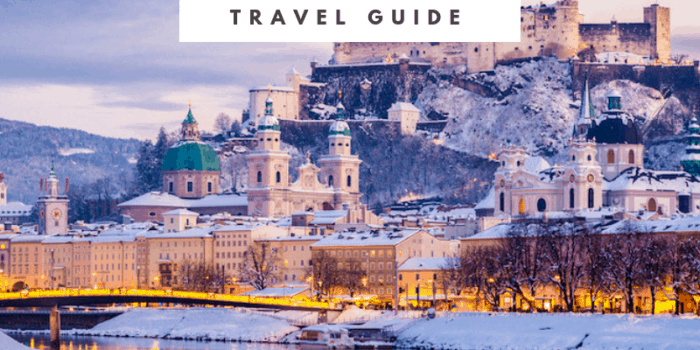 Salzburg doesn’t have any free guided walking tours, but you can use this travel guide to help you explore independently. 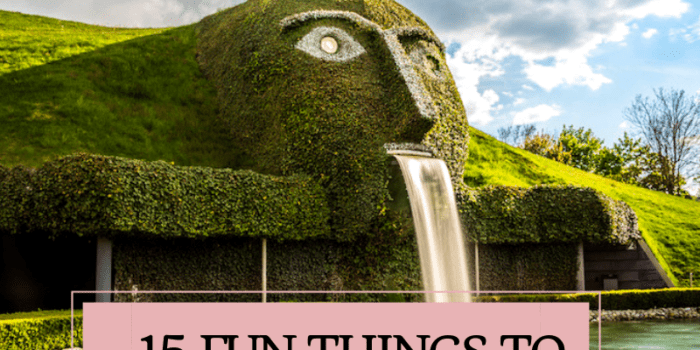 22 Things to do in Innsbruck – That People Actually Do!